Guilty of losing your hotel keycard on more than one occasion? Left it in the room and had to shamefully go back to the lobby and ask for a new one? Yep, we’ve all been there. But this annoyance may come to an end soon. One of the latest technology pursuits is a digital hotel keycard sent straight to your phone via Starwood Hotels & Resorts’ automatic check-in app. With roughly 1,150 locations around the world, two of this luxury chain’s hotels–one in Harlem, NYC and another in Cupertino, California–will serve as beta-testers for the new check-in system that no longer necessitates guests to stop at the front desk. Not only will this feature eliminate a wait, but also rid the need for those pesky plastic cards. Available for iPhone 4S or later as well as newer Android models, the app will use Bluetooth technology to open guest’s doors with the simple tap of a button. If successful, Starwood will look to have this technology available in all of their locations by next year. The idea behind this new app is to take an every day common annoyance or procedure, rethink it under a futuristic lens, and produce a product that makes completing the task more convenient, reliable, and accessible; and there are plenty of other smartphone innovations with these same goals in mind in the near and not so near future. This month, Mobil World Congress in Barcelona saw plenty of smartphone technology unveiled with huge potential. Many tech companies understand the need for new gadgets to improve the functionality of people’s lives—such as the ability to unlock your house from your phone. The Kevo Unikey, revealed at the MWC, will soon provide keyless deadbolt locks for homeowners with similar functionality to that of the hotel keycard app via Bluetooth connection. Smartphone keys will be more convenient, cheaper (no more making duplicates), and hopefully safer that the one loosely hanging off your keychain. Belkin’s WeMo Switch can turn off any electronic devices from your smartphone with a WiFi connection. Though this technology already exists, in the near future we can expect similar apps to track where heat is being lost through doors and windows, when the hot water is running low, or where there’s an issue with an electrical circuit–all viewable from our smart phone. Expect to see tech improvements for leisure activities and hobbies—such as going to a football game, a concert, or the movie theater. Ticket stubs will become obsolete once mounted scanners (similar to an E-ZPass) detect the digital receipt of your purchase within your phone when entering the establishment. 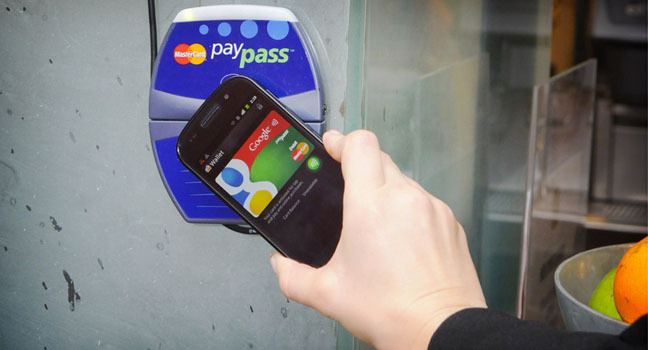 Apple’s iBeacon and Google Wallet promise to make this dream a reality. For the fitness gurus, an app to determine perceived rate of exertion and applied force during your power lift or erg workout that can be managed from your smartphone is something to look forward to. Biosensors built into workout gear to give you instant feedback on your performance hit shelves this summer. With the gaining popularity of online payment systems such as America’s Bitcoin and Africa’s innovative SnapScan app, there may eventually be—with some cooperation—a singular global online payment method. No more carrying around five different currencies when traveling through Europe; all will be seamlessly converted by your smartphone app when making a purchase. Smartphone eye-scanning technology does exist, and you will soon be able to complete the following steps hands free: Focus your gaze on the Email icon for a second to open the program, stare at the received message to reveal it’s contents, then proceed to type a response by shifting your gaze across the keyboard (similar to no-finger-lift features on Android devices). Even fictionalized Star Wars technology has got potential. Fixed or real-time 3D image projections (like those emitted by R2-D2) from smartphones could be beneficial in the engineering, medical, and education market sectors once we understand the physics behind such a feat. Some of this technology may still be in a galaxy far, far away, but the ideas are not as far-fetched as they used to be. As long as tech companies and mobile-giants continue to make practical and realistic smartphone improvements, we can expect to see a steady influx of usable apps and devices that will improve our quality of life.